Unfortunately such a Shah of Persia never existed , and such a leader as “Zami” is unknown to fame. They never managed to mix up here the name of Langah Jat ruler of Multan, Shah Hussain. I do not think there is any “history of India”, however poor, that doesn’t clearly show that the Badshah didn’t return by the Bolan pass ; and, certainly , he was not joined on the way by “the Rind army”, nor Chakar’s “lieutenants”. Mr.Dames adds that, “it is difficult to say how far any part of the Chakar’s adventures are historical “ and he quotes “Brigg’s Ferishta” and “Erkine’s Babar” to show that “the interruption of Baloches into Punjab , about 1520 A.D, was probably caused by the pressure on them by the Turks or Mughals who were then under the Arghuns invading Kachhi and Sindh. More “history” of this kind is given in “Griffin’s Punjab chiefs” . The Punjab government “invited” all the chiefs of the tribes to send in an account of their ancestors , and descent of their tribes ; and the result is contained in that book . It can be imagined how the chiefs drew the long bow , what glowing accounts they gave , and what noble or royal descent they gave themselves and their tribes. Fortunately for historical truth , I can show “how far Chakar’s adventures are historical “, and also the nature of the “history” adduced respecting that “god-like man”. 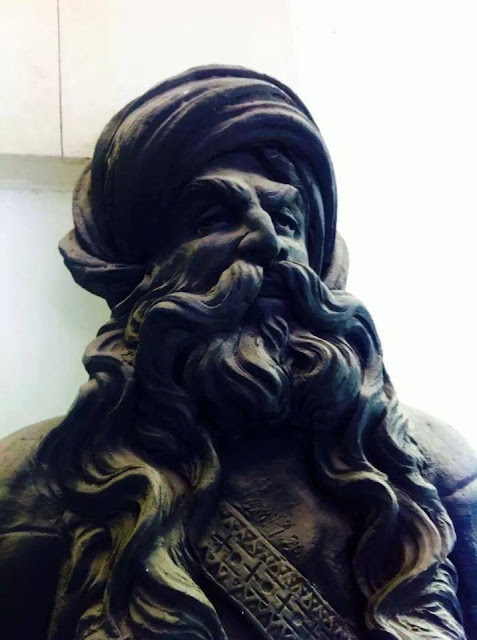 Mirza Shah Hussain, the Arghun Mughal, son of Shah Beg Khan , the conqueror of Sind, determined, at the instigation , it is said, of Babar Badshah , to make war on the Langah Jat ruler of Multan, but before doing so , he determined to coerce the refractory Baluchis in the northern and western part of his territory, around Siwi and parts adjacent. With a body of 1,000 cavalry, he made a forced march by the way of Chatar and Lahri , and came upon Rinds and Bugthis, overthrew them , made many captives , reduced them to submission , and brought back their head men along with him to Bhakar (Sukkar In Sindh). This was in 930 H (1523-24 AD). The Langah Jats, whom such “history” writers will persist in turning into Afghans , now set up the younger son of Sultan Mahmud; and came to an accommodation with Mirza Shah Hussain, “by ceding to him all the Multan territory south of the Gharah , which river was to be the new boundry”. Soon after this , in 933 H (1526-27 AD), the affairs of Multan became utterly disordered : the chiefs of the late Sultan refused to submit to the young ruler , he being a mere puppet in the hands of the Shaikh , and they invited Mirza Shah Hussain to take possession of Multan. He set out in the same year ; and on the 15th of Rab-us-Sani, 933 H (January, 1527 AD), captured Multan, in which the supporters of the Shaikh and the young Sultan had shut themselves up. The palace was completely sacked , the numbers of those found within were put the sword, and the remainder enslaved. The Wazir Shaikh and the Sultan were cast into prison , and there they died, the latter after a nominal reign of one year and eight months ; and the Langah Jat dynasty , which arose out of a fraud , terminated at the end of twenty-seven years. For some time previously they had lost all the territory north of the Rawi. Jam Bayazid, the Sammah, a member of the ruling family of Sind ousted by the Arghuns, wh had taken shelter in the Langah territory, and had become its wazir, rebelled and retired to Shor Kot, and appropriated that part (equalant to the present Jhang district or nearly so), and tendered fealty to Daulat Khan Lodi, the governor of Lahore province on the part of Afghan Sultan, Siknader Lodi of Dehli. From the period of the usurpation of Langah Jats over Multan , numbers of Baluchis had come thither from the farthest parts of Baluchistan, from Kich and Mukaran, and took service with them , receiving large grants of land in lien of pay , and among these were Malik Suhrab, the Dudai Hut. About the period that Jam Bayazid rebelled , a feud having arisen between one division of the Rinds of which Chakar was the head, and other Baluchis, in which the Rinds came worst off, Chakar , finding the neighborhood of Siwi too hot for him – not the fortified town of that name , but lands dependent on it – left it , and came with his two sons , Allah-Dad and Shah-Dad (the latter is said to have first introduced the Shia doctrine into Multan), to seek service with the Langahs, but finding no choice of employment there, he went to Shor Kot , to Jam Bayazid , who took him into his service , and out of his fief , assigned him a jagir in lieu of pay. This jagir was at Sath-garh on the Rawi, and there he took up his residence with his people. After Humayun Badshah had to abandon his Kingdom , and retired to Lahore in 947 H (1540-41 AD) , followed by Sher Khan, of the Sur sub-division of Afghan tribe of Lodi, who had assumed the sovereignty and title of Sher Shah, the Badshah retired into Sind. Sher Shah while in the Punjab selected the site for the fortress of Ruhtas, which was “to be a spike in the breast of Ghakkar tribe” ; and shortly after , in 949-950 H (1542-43 AD), he left the Niazi Afghan, Haibat Khan, as governor of the whole Punjab , and directed him to free the territory from the rebel Baluch, Fath Khan, Hut, who had possessed himself of the Kot Kabulah during the distracted state of the country after the downfall of the Langahs, raided the Lakhi Jungle district , and devastated all the country round , and as far as east as Panipat ; to free Multan territory altogether from the Baluchis, who had seized upon it, and re-people the desolated city of Multan , whose inhabitants had now entirely deserted it. Immediately on receipt of these orders , Haibat Khan Niazi, sent for the wakil of Chakar,the Rind, and intimate to him that I shall be coming into his district immediately , and let him see that the man of his jagir are ready for my inspection.” The author from which i take this extract (confirmed by other writers), Abbas Sarwani, in his “Tarikh-i-Sher-Shahi” says: “I heard from the lips of Fath Khan , Kambu, that, when the Wakil presented himself to Chakar , he was dumb-founded ; for as yet , no preparation had been made for the purpose , or the reception of the Khan. On the second day after, news came that Haibat Khan had arrived within twelve kuroh of sath-garh. Chakar now became alarmed , and said “I have not mustered my followers , nor made preparations for it. What shall I do ! ‘ and he was in a great way. Next morning a scout of Chakar’s came in , and intimated that the Khan had arrived ; and all Chakar could do was to ride forth to receive him , in a very disturbed state of mind. As soon as Haibat Khan perceived him, he said : “I will not inspect your followers now, but will do so at Dipalpur, his object being , lest Fath Khan , the Hut Baluch, should in case he delayed at Sath-Garh, take himself off; and so Chakar , to his great relief , was dismissed”. Haibat Khan continued his march to the Pak Pattan of the Kutb-i-Alam , the Shaikh, Farid-i-Ganj-shakar ; but Fath Khan, alarmed, had fled [Chakar, doubtless, informed him on time], but Haibat Khan pursued him , and came up with him near Fath-pur of Kuhror. He had no chance of escape from Haibat Khan , as he had his family , and those of his followers , with him. He therefore threw himself into the mud built fort there, and sought shelter therein. It was immediately surrounded ; and after he had had held out for a day or two, Fath Khan got the Shaikh Ibrahim , the descendent of Shaikh Farid, to intercede for him ; and he came out and presented himself before Haibat Khan. The latter told the Shaikh , that he was himself a servant of Shah , and that whatever his commands might be must carry them out; so Fath Khan was allowed to return to the fort pending the orders of Sher Shah. He shortly after managed to escape , however, for one night, chiefly through the efforts of faithful follower, Mando by name, Fath Khan, at the head of 300 men, made a sudden rush upon the guards, overpowered them, and got off. The Afghans on entering the place , found that they had butchered nearly all the women and children before they left. Bakhshu, the Langah, afterwards captured Mando , and brought him bound to Haibat Khan, and shortly after , Fath Khan was taken. Haibat Khan proceeded to Multan, having collected the remaining inhabitants , who had long before dispersed to various places , and set about re-peopling and repairing the place. Fath Khan Hut and Mando , by command of Sher Shah, were hanged. For these distinguished services , Sher Shah conferred upon Haibat Khan the title of Masnad-i-Ala, Azam Humayun’ – that is “The occupant of Exalted Seat [of dignity] , the most August, “ a title which had been conferred twice before by the Afghan sovereigns on their nobles. He was also assigned a scarlet tent , which only the family of the sovereigns had hitherto had been permitted to use.” This was in 950 H.
Sher Shah directed the Azam Humayun not to make any alterations in the assessments , but to observe the rules and usages of Langahs, and to make the revenue in kind. The latter, leaving Fath Jang Khan Kambu in charge of Multan province, returned to Lahore. Fath Khan Kambu, brought it into a flourishing condition once more , and founded therein a town which he named Sher Garh. This place is still in existence , situated close to the right bank of the Biah , some twenty miles to the south-eastwards of Sath-Garh. These people under the ‘official name” of Kambohs , still hold a great deal of land in that locality. That “god-like man’ , “the mighty Chakar Rind”, the founder of “the kingdom of the lofty Ghulam Bolak Rinds”, disappear from the scene ; but he continued to hold his jagir at Sath-Garh and there died, and was buried. The Rinds. latterly, were much bullied by the Sials. It will be thus seen, that out of Haibat Khan, the Azam Humayun , the writers have produced “Humau Chowghutta” , and the “Hamayun Shah” meaning of course Nasir-ud-din Muhammad Humayun Badshah, with whom the “mighty Chakar” made war ,” and even “took Dehli”, from him”, but kindly restored it !. How he “made war” upon the Azam Humayun , Haibat Khan, I already shown above. 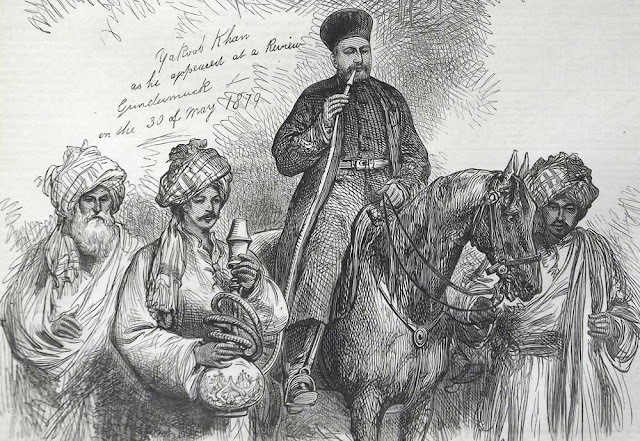 As to “Hamayun Shah having very probably returned” to Hindustan from Persia through the Bolan pass, and been joined by Chakar Rind and other Baluchis ,” any History of India, even “Ferishta” or “Briggs” would show , was totally incorrect. Humayun Badshah left Sind in August 1543 ; in January 1546, he returned from Persia, and recovered Kandahar ; and it was not until eleven years and a half after that , that he set out from Kabul for Jue-Shah-I, then by a raft on the river Kabul to Peshawar, crossed the Indus at Nilab, and marched straight on Lahore , and from thence through the Jalhandar Doaba, and Samanah, to Dehli. As to to Chakar Rind , building the fort of “Sivi (Sibi) and making it his capital “, is on par with his capture of Dehli . “A little history “, like, “a little learning” , is “a dangerous thing” . See my “Notes on Afghanistan” etc, page 589 , note, and page 591, note.